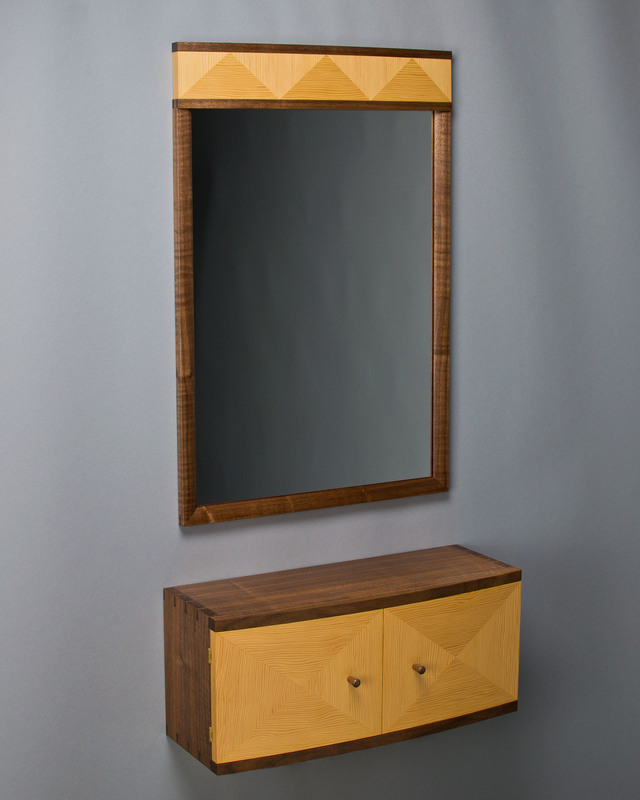 I recently completed this mirror and wall cabinet, named Echo and Narcissus. 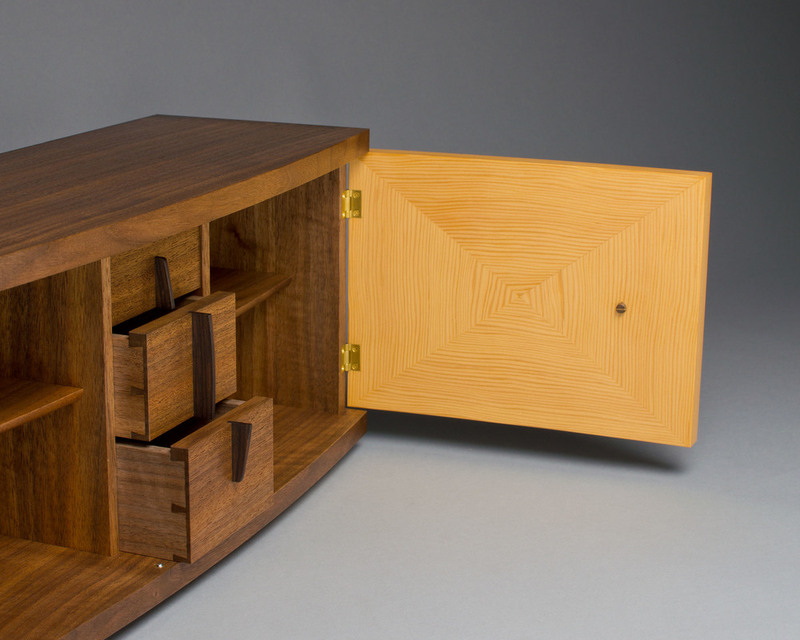 They are made of black walnut and Douglas-Fir and both feature curved elements. 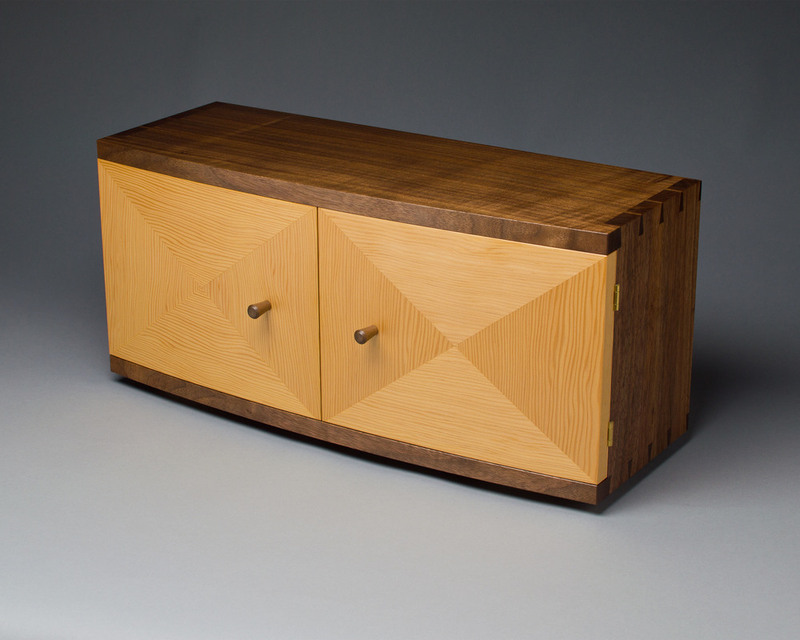 The front face and doors of the wall cabinet, Echo, are curved. I made the curved doors by gluing up a 5-layer core of shop-sawn veneers over a curved form, alternating the grain direction of each ply. Then I pressed decorative Douglas-Fir veneers onto the outside and inside faces of each door. 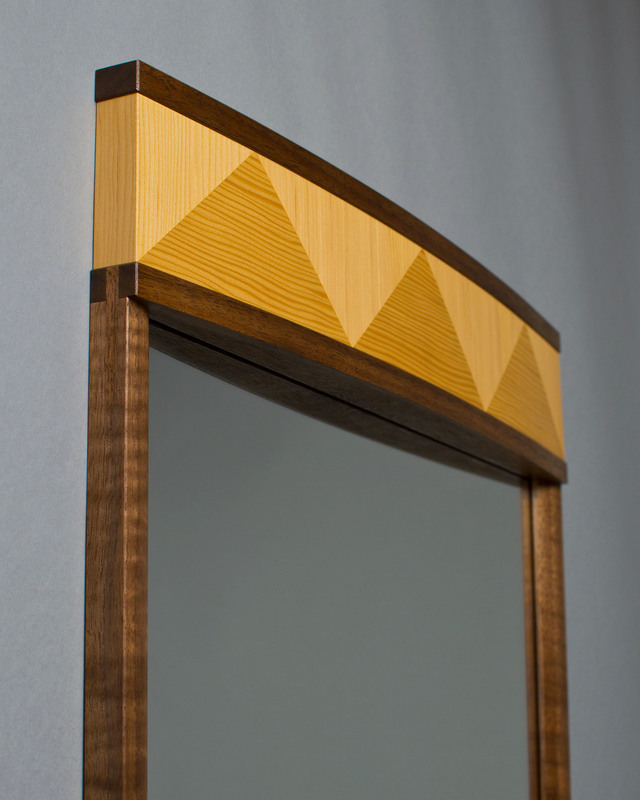 The mirror, Narcissus, has a curved "crown" with decorative Douglas-Fir veneer. The process for this crown was slightly different. 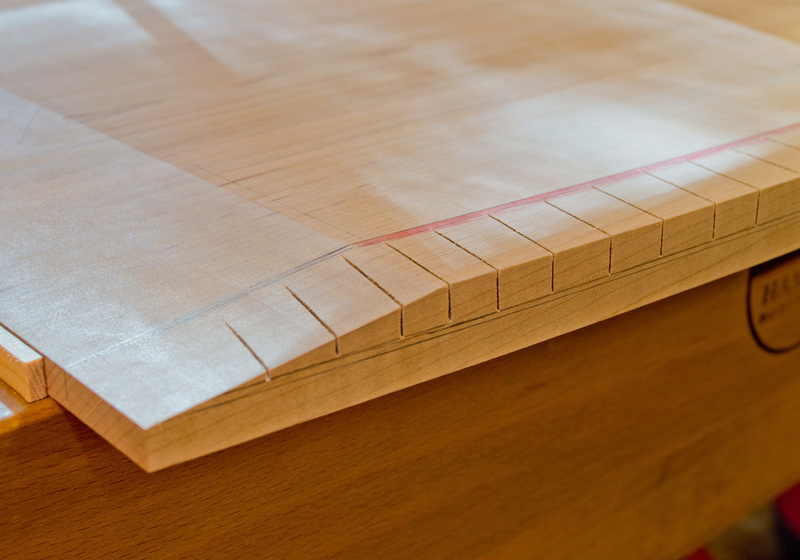 Using the same curved form, I glued up a 5-layer core of shop sawn veneers. Because the crown would be contained somewhat by the black walnut above and below, I didn't alternate the grain direction of the plies. Once the core was laid up, I pressed the decorative Douglas-Fir face veneer to the outside face. The first step in shaping the underbevels on the top is working the top to it's finished dimensions and fairing the curves on the front edge. 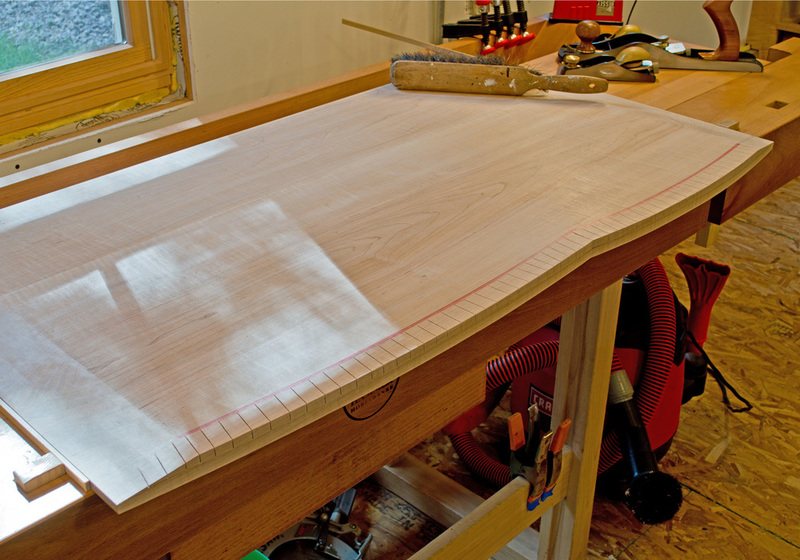 Before any shaping can begin, layout lines are drawn to define the finished geometry. That's me, in the orange shirt, planing away. 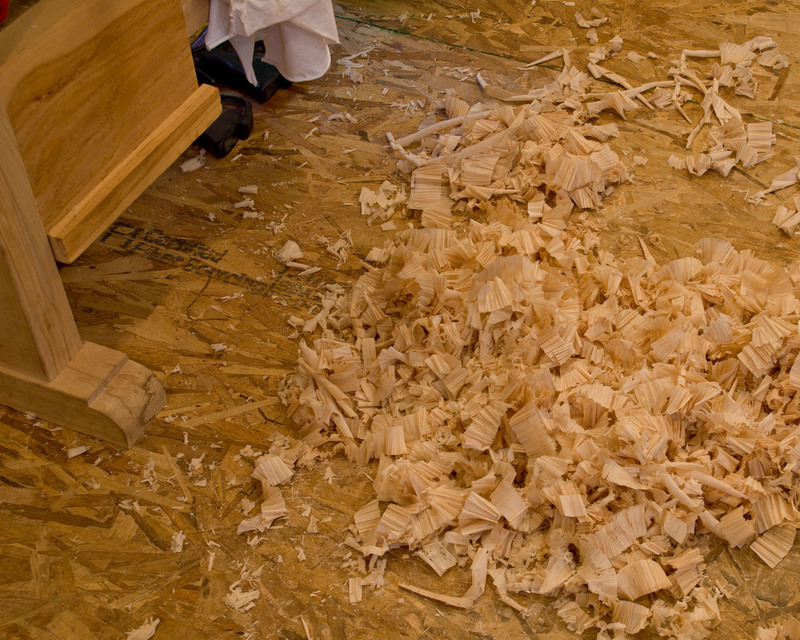 Shaping like this creates lots of hand plane shavings. But I'd much prefer these wispy shavings to the dust and noise of trying to do this with machines. Plus this is a whole lot safer. Shaping the underbevel on the front edge - the edge with 2 curves - is done in much the same way except I start by hand sawing down to the layout lines. I'll then remove the material in between kerfs, starting with a chisel and mallet, then switching to a drawknife, spokeshaves and files. Close-up of the saw-kerfed edge. Notice the layout lines - they are so important in achieving the final shape. 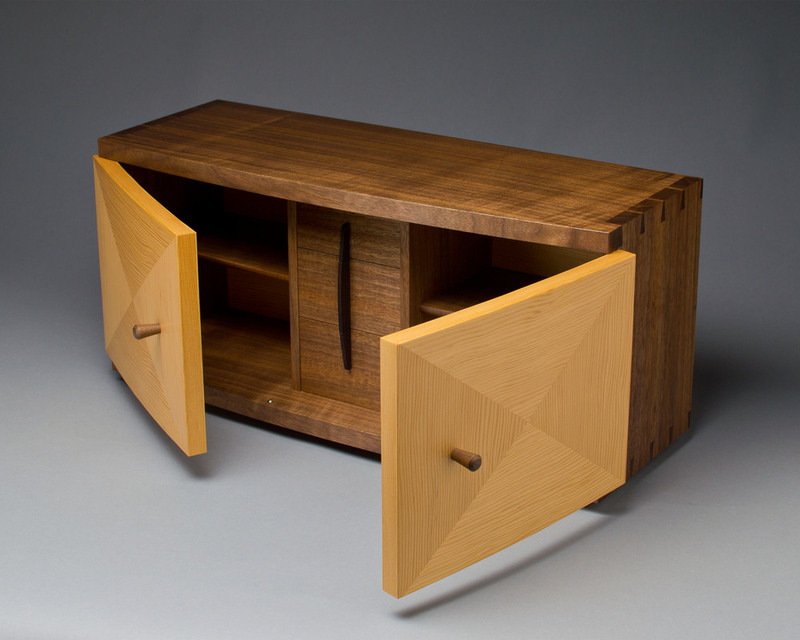 All of the edges on the top of the chest of drawers are shaped with an underbevel. I love this edge detail and have used it on quite a few pieces in the past. Besides the aesthetics of this detail, I love it because the shaping is done completely with hand tools. A tedious process, but definitely worth the work. The top of this chest of drawers is a bit different in that the front edge has two curves which reflect the two curves in the drawer fronts and base. The first two images below illustrate these curves. Shaping the underbevels on the ends and back edge (the back edge is straight, no curves) is straightforward. But shaping the under bevels on the two front curves required a slightly different approach. If you skip ahead to the last 2 pictures (the first 8 show how I work a more typical bevel) I started by hand sawing down to my layout lines. These angled saw kerfs define the material to be removed, and they act as a kind of "safety" as I use a chisel and mallet to remove the chunks in between the kerfs. Without the kerfs, it would be fairly easy to remove too much material whether through an errant swing of the mallet or uncooperative grain. Once the bulk of the material is removed with chisel and mallet, I switch to a drawknife, then to spokeshaves and files, continually refining the shape until I hit those layout lines. Notice the progression of the tools used - roughing material away is done with tools suited for that task - a drawknife and mallet-propelled chisels (yes, chisels can do really fine work, but in this instance it was their brawn that I needed). 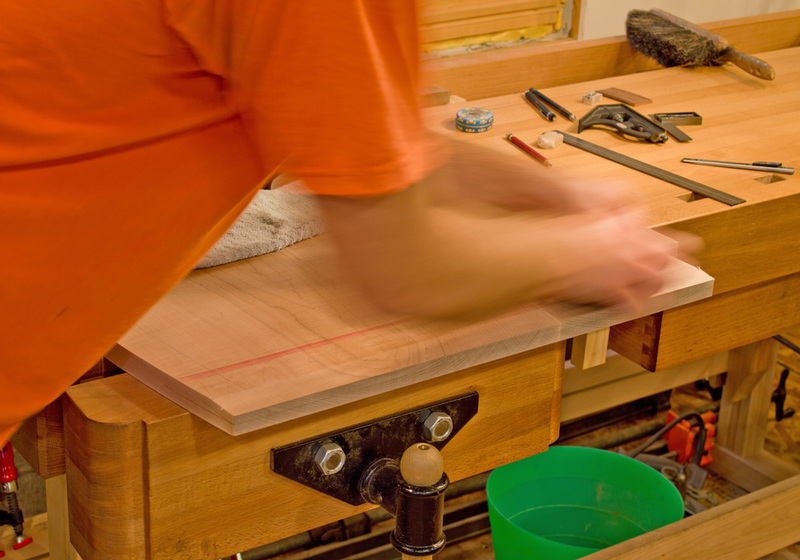 Then the switch to spokeshaves and files reflected the need for more precise final shaping. 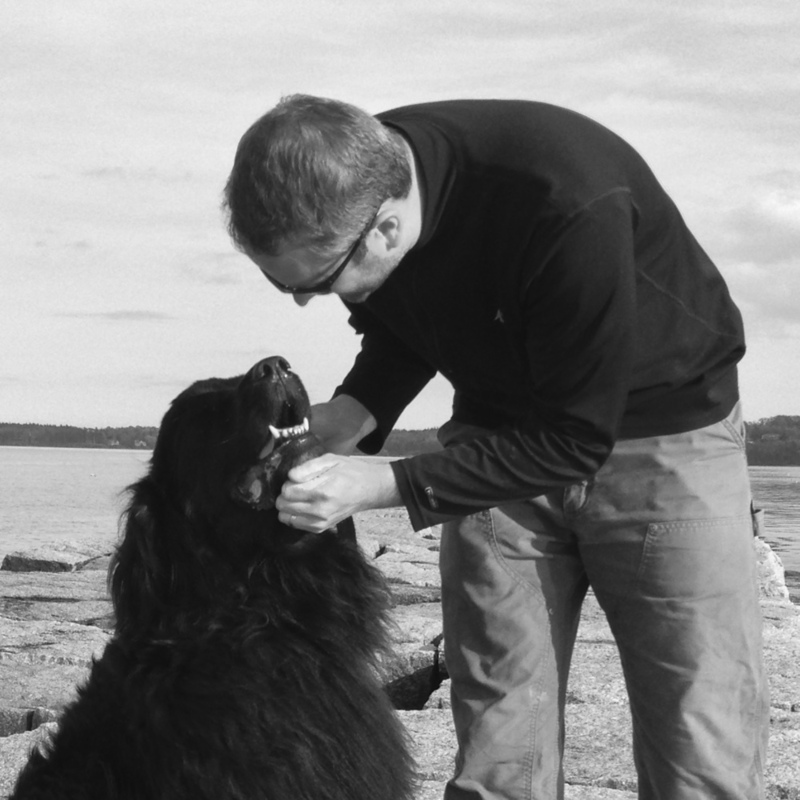 The story of furniture making, told from the point of view of one maker: Mike Korsak.